If you are crazy about knitting or crocheting or want to learn how, stop by and visit our warm and friendly yarn shop located in the heart of the beautiful, historic Dilworth neighborhood, where you will be inspired and encouraged, regardless of where you are in your craft. The 1st Sunday of every month from 1pm-3pm, we have "Crafting For A Cause". Bring the charity project you are working on and come hang out. Charlotte Yarn is pleased to initiate the "Port Pillow Project" which will provide knitted and crocheted port pillows for cancer patients. These port pillows will be delivered to the Charlotte Levine Cancer Institute (LCI). We need your help in making these pillows for this worthy cause. Knitted port pillow pattern (knitted flat): Please click here. Crochet port pillow pattern: Please click here. We will soon have available patterns for port pillows knitted in the round We will publish and announce this pattern when it is available. If you sew, you can also make fabric pillows (pictured above). For the pattern, please click here. ﻿ Check out this wonderful and interesting article the Boston Globe dated August 24, 2016. 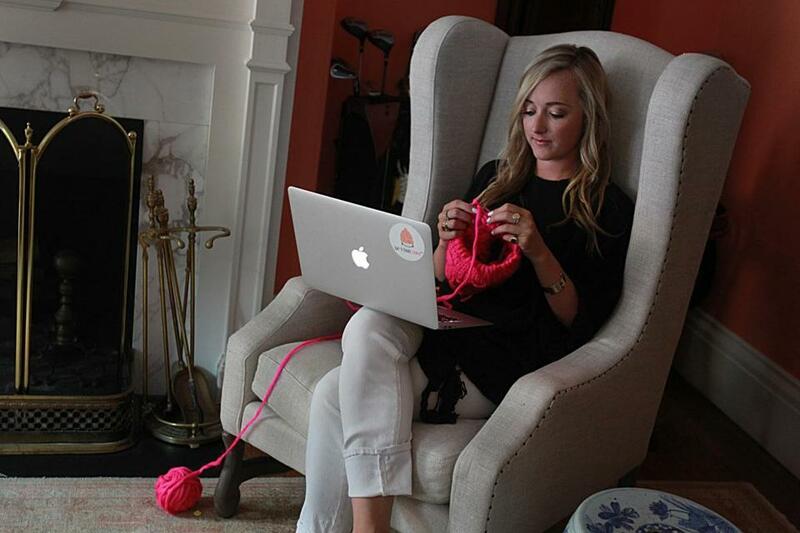 This article shows that people of all ages knit, especially the millennial generation. Learning how to knit might not be at the top of your fall to-do list, but it should be. Not just for your grandmother anymore, knitting has a wide variety of benefits. A gift certificate from Charlotte Yarn lets your favorite Fiber Lover do what they like best - shop for great yarn!!! If you would like to purchase a Gift Certificate, Please stop by or give us a call at 704-373-7442.